Associated Anesthesiologists, P.C. » Deckert, Kjersti K., M.D. Home / Deckert, Kjersti K., M.D. / Employees / Anesthesiologists / Deckert, Kjersti K., M.D. Kjersti K. Deckert, M.D. is a native of Sioux Falls, South Dakota. In 1997, Dr. Deckert completed her pre-medical undergraduate education at Augustana College with a BA in Chemistry. 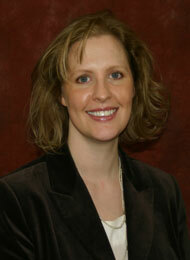 Dr. Deckert completed medical school at the University of South Dakota in 2001. Dr. Deckert completed an internship at the University of South Dakota School of Medicine in 2002 and she completed an anesthesia residency at the University of Kansas Medical Center in 2005. Dr. Deckert is Board Certified by the American Board of Anesthesiology and has been with Associated Anesthesiologists, P.C. since August, 2005.